Well this is a strange twist of fate. Recently, we learned that Will Forte and Wet Hot American Summer and Role Models filmmaker David Wain were teaming up for a dramatic biopic of National Lampoon co-founder Douglas Kenney, to be made at Netflix. 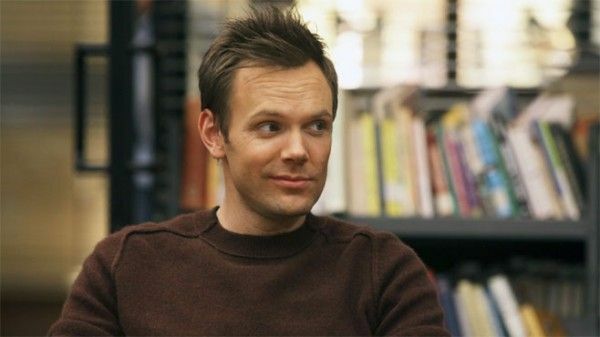 Now, as production on A Futile and Stupid Gesture gears up to begin later this month, casting is underway to fill a number of celebrity roles, with the key character of Chevy Chase to be filled by none other than Chase’s Community co-star/sometimes feuding partner Joel McHale. Indeed, THR reports that McHale is in final talks to portray Chase in the tragic story of Kenney, who co-founded National Lampoon with fellow Harvard students Henry Beard and Robert Hoffman shortly after graduation, forming what would become a cornerstone of American comedy that flourished from a humor magazine into a nationwide brand. The success took its toll on Kenney, who moved to Hollywood to work as a writer on films like National Lampoon’s Animal House and Caddyshack and subsequently developed a serious drug and alcohol abuse problem. Chase took Kenney to Hawaii to try and lift his spirits but had to return back to Los Angeles for work, and just as Chase was preparing to return to Hawaii, Kenney’s body was found at the bottom of a cliff. Forte is playing Kenney, while Domhnall Gleeson is set to portray co-founder Henry Beard, but McHale is a beyond fascinating choice to portray Chase. 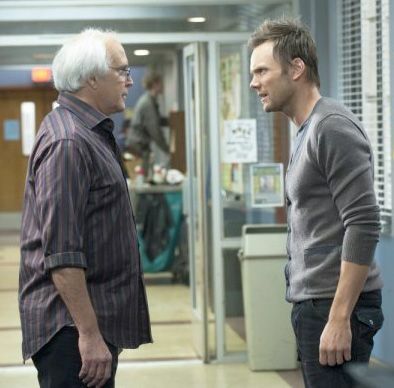 Will he be able to resist poking fun at Chase, whose irritability on the Community set became a running joke? Or will McHale play things completely straight given the subject matter? 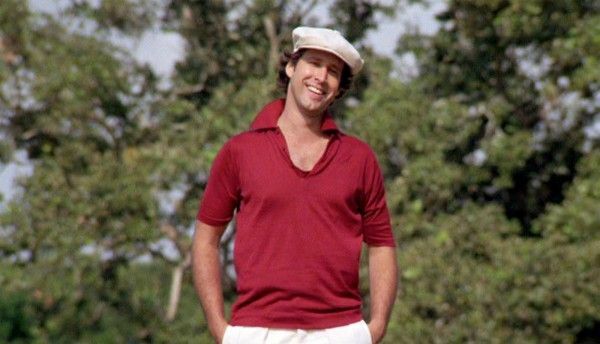 Kenney died in 1980, following the critical shellacking of Caddyshack, so McHale will be portraying Chase just on the cusp of superstardom in the feature film world. Given the talent involved and now the prospect of McHale playing Chase, A Futile and Stupid Gesture has quickly become one of my most anticipated films currently in development. Wain most recently co-wrote and directed the hilarious romcom parody They Came Together, while McHale is getting ready to shoot the CBS comedy pilot The Great Indoors.